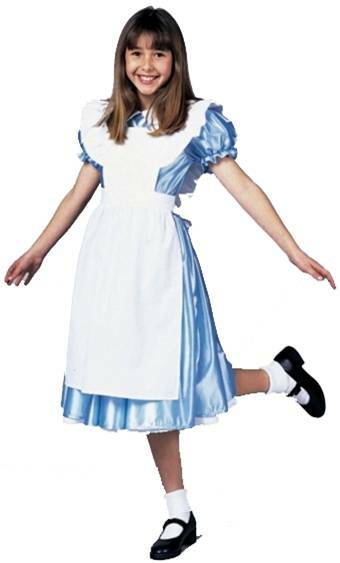 This flirty Alice costume includes a dress and card stockings. For Tweens. PERFECT FOR SCHOOLGIRLS AND ALL STORYBOOK CHARACTERS. BLACK PATENT 5" HEEL W/ 1.25" PLATFORM. 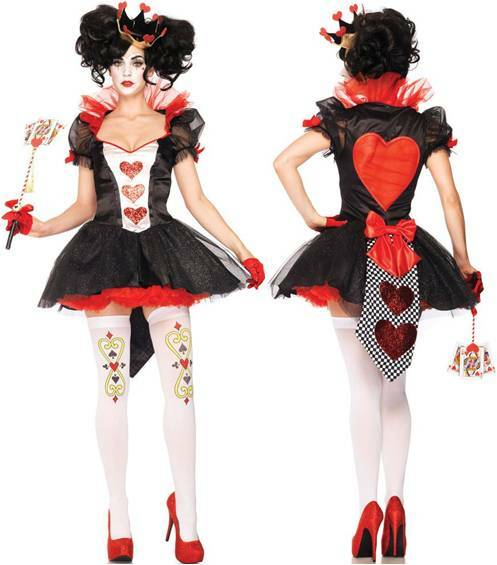 6 PIECE CHARMING CHESHIRE COSTUME INCLUDES TOP WITH PLUSH TRIM, SKIRT, GLOVES, CHOKER, TAIL AND HEADPIECE. BLACK FISHNET STOCKINGS SOLD SEPARATELY. 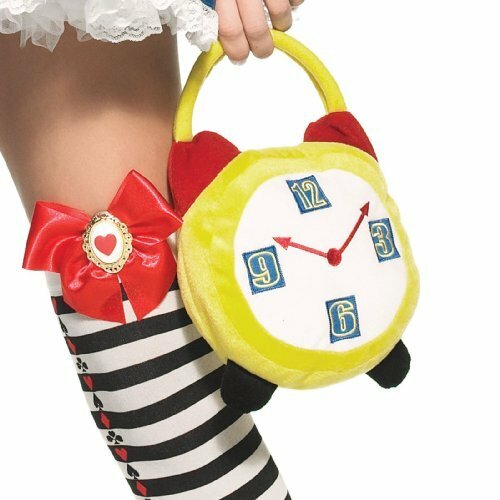 ALICE WOULD BE LATE TO WONDERLAND WITHOUT HER PLUSH ALARM CLOCK ZIPPERED PURSE! 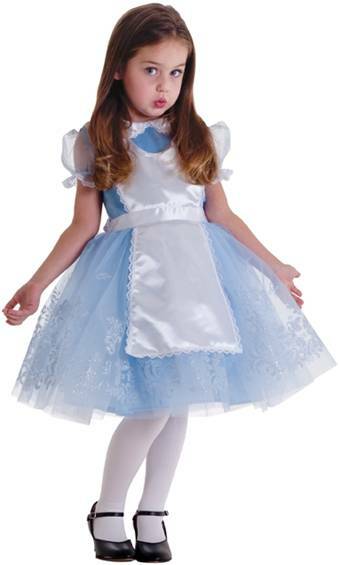 Includes dress, petticoat and choker. Available in Tween Sizes. 4 PIECE MAD TEA HOST COSTUME INCLUDES VEST, JACKET, HAT AND DICKIE WITH BOW TIE. TEAL/PURPLE. PANTS NOT INCLUDED. COSTUME INCLUDES LACE RUFFLED HEADPIECE AND APRON DRESS WITH RUFFLED BACK. 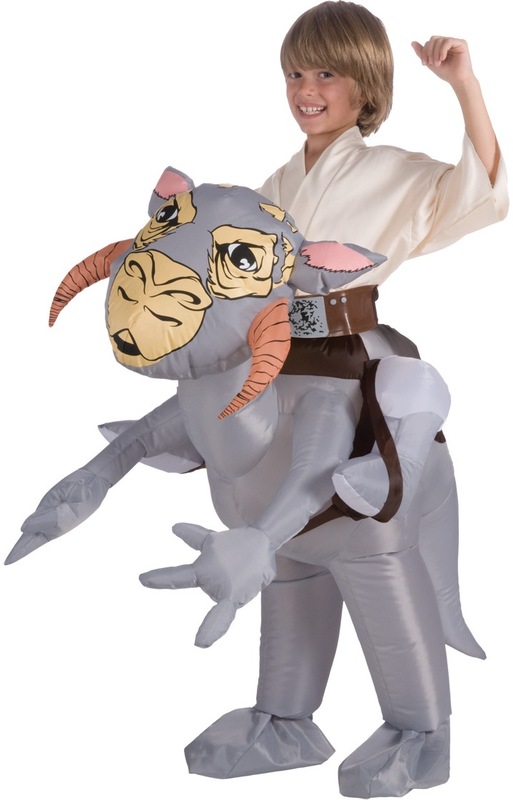 STOCKINGS AND PETTICOAT SOLD SEPARATELY. CUTE AND MYSTERIOUS, YOU'LL KEEP THEM GUESSING WHAT YOU COULD BE UP TO! FUSCHIA/BLACK COSTUME CONSISTS OF HALTER DRESS WITH TAIL, MARABOU TRIMMED EARS AND FUZZY LEG WARMERS. 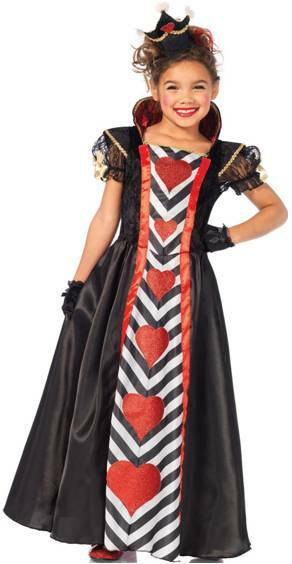 COSTUME INCLUDES LACE TRIMMED CROWN WITH HEART CHARM, COLLARED DRESS AND STOCKINGS. PETTICOAT SOLD SEPARATELY. 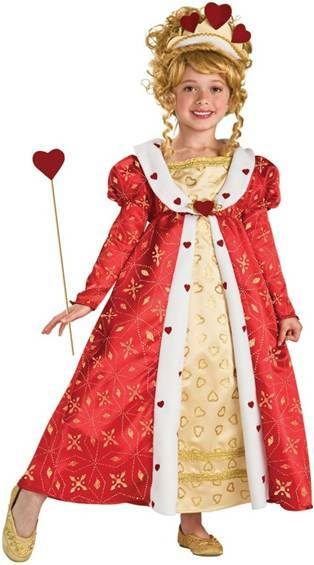 Dress up as the Queen of Hearts or the Princess of Hearts in this ensemble consisting of the dress and headpiece. Includes crown, gown, choker, scepter and bow pins. 5 PIECE DELUXE TEA PARTY HOSTESS COSTUME INCLUDES BROCADE TOP, SKIRT, JACKET WITH TUXEDO TAILS, NECK TIE, AND HAT. Includes jacket, skirt, bowtie and hat. Off with their heads! Includes a gown and headpiece.